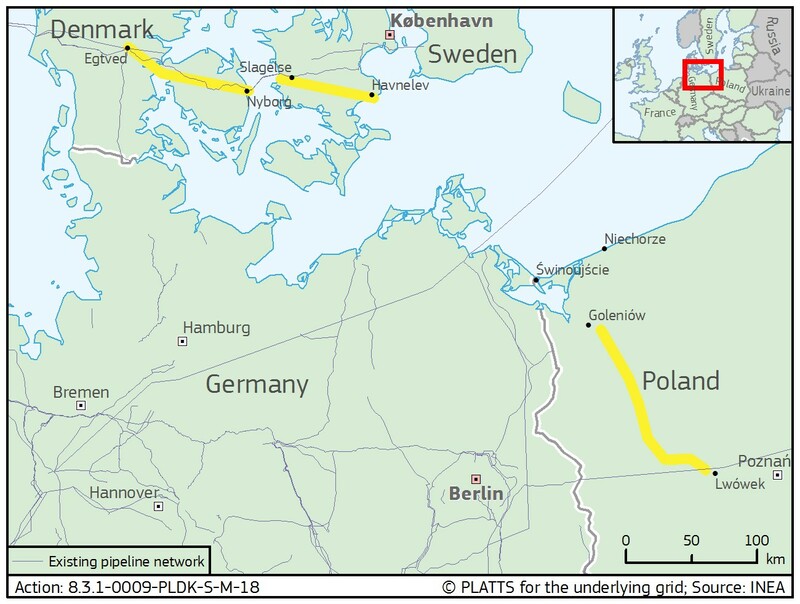 The Action contributes to the implementation of the Projects of Common Interest (PCI) 8.3.1 Reinforcement of Nybro - Poland/Denmark Interconnection and PCI 8.3.2 Poland-Denmark interconnection [currently known as “Baltic Pipe”]. This Action relates to a number of infrastructure elements which are part of Baltic Pipe, namely: the onshore pipeline in Poland from Goleniów to Lwówek (estimated length of approx. 190 km, DN1000) and the onshore pipeline in Denmark from Egtved to the new compressor station in Everdrup (estimated length of approx. 182 km). The Action’s objective is to carry out preparatory studies and engineering works, i.e. conceptual, basic and detailed design (Front End Engineering and Design – FEED), pre-construction activities as well as prepare the necessary project documentation up to the obtainment of the building permits for key infrastructure elements which are part of Baltic Pipe. The completion of this Action will contribute to the implementation of the PCI cluster 8.3 (PCI 8.3.1 and 8.3.2) by preparing a solid basis for taking further crucial steps towards the Final Investment Decision (FID) and start the construction of Baltic Pipe.